I have been having a bit of a clear-out and found an old book I used to write poems and quotes in when I was a teenager. A lot of it is rather amusing, but amongst it I found a list of beauty tips by Audrey Hepburn so I thought I would share them with you. True beauty in a woman is reflected in her soul. It is the caring that she lovingly gives and the passion that she shows. And the beauty of a woman with passing years only grows. Oh Audrey, if only it were that simple! This is a fabulous tip, thanks for posting. 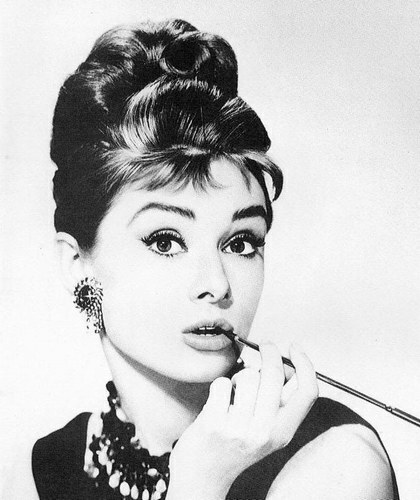 Audrey is my favorite!